In my early blog posts (14 January 2016 and 16 May 2016) I described the then recent arrival in Seychelles of a small moth (Euproctis species) whose hairy caterpillar (in Creole senir plim) was defoliating trees and bushes, and whose hairs could cause intense irritation to the skin of humans and domestic pets. Having fed well, the caterpillars descended from the trees on silk strands in order to enter the next phase of their lives, as pupae, in the soil. It was during this descent that most contact with humans was made, leading to severe itching and skin rashes among Seychellois and tourists. The government’s response was to undertake a widescale programme of fogging with insecticides. This appeared to be effective in reducing the number of caterpillars but did not eradicate them, but it must also have had unknown but widespread effects on a wide variety of susceptible insects and probably other fauna, both native and introduced, and both ecologically and economically important species as well as less desirable ones. 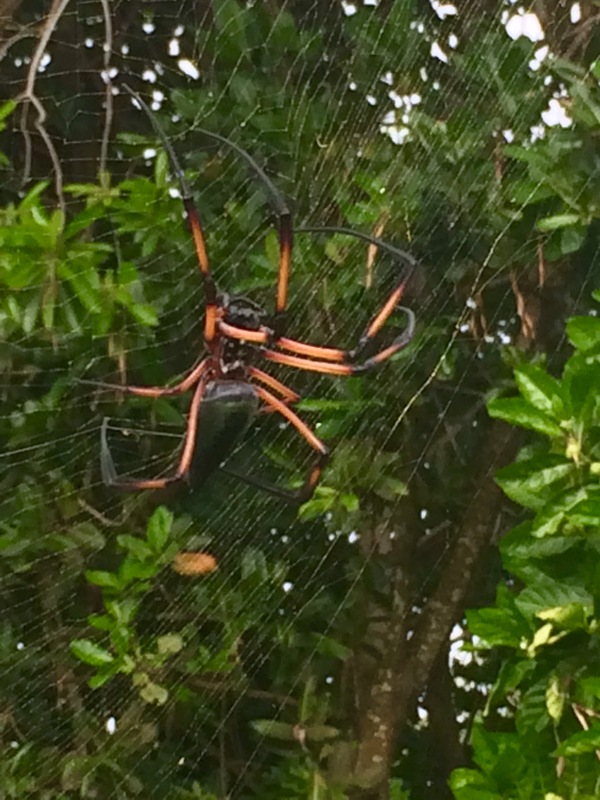 In a further blog post of 22 June 2016, I suggested that the fogging could have been responsible for the virtual disappearance of Palm Spiders Nephila inaurata, which had formerly been extremely abundant and conspicuous on most of the islands, especially when they had made huge webs suspended between the overhead distribution cables for electricity and telephone. The intensive fogging programme has now ceased and the spiders are showing signs of returning. 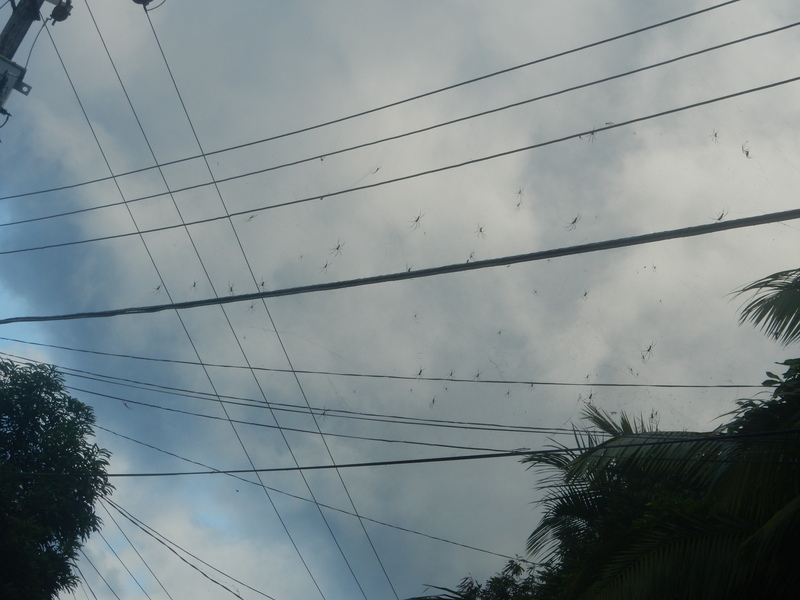 We have not looked widely but we have found localised concentrations in overhead cables in Cascade, Au Cap, Pointe au Sel and Anse Royale on Mahe, and also met them in bushes in some of those areas, re-acquainting ourselves with our entanglement in their sticky webs! It is therefore encouraging to see what appears to be the early stages of the return of the spiders. Whether other animals that were killed during the fogging, targeted at the hairy caterpillars, will similarly recover we do not know. Lessons will hopefully have been learned from these recent events and increase the efforts to prevent invasive species from arriving in Seychelles, rather than have to devote time and money in attempts to control or eradicate them after they have become established. First class biosecurity is a better protector of Seychelles’ environments than the use of large quantities of expensive toxic chemicals.